We’re pleased to share that Insights Success, a leading magazine covering enterprise technology solutions, has recently named us the Fastest Growing DevOps Solution in 2017. 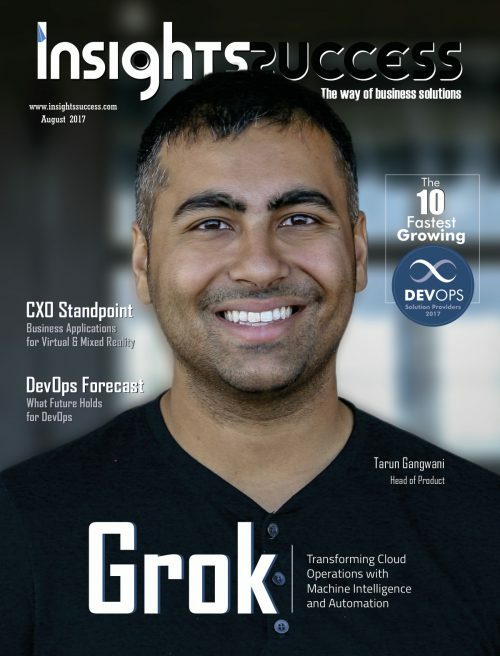 Our recognition has been featured as the cover story of an upcoming magazine release from the outlet, and we’re thrilled to share our story with more businesses looking to transform their IT operations. Believing the same and utilizing machine intelligence and automation to its fullest, Grok is enabling self-healing cloud apps and systems to predict and respond to potential IT incidents. Using algorithms built on 10+ years of machine intelligence R&D, Grok’s platform deeply understands a company’s cloud system using readily available IT operations data. Once Grok detects unusual activity within cloud services, apps or other metrics, the platform provides integrations and tools to proactively respond to system changes with no need for human intervention. Grok gives time back to operations teams, so they can focus on building innovative solutions, freeing up much needed operating expense in today’s cloud-first world. You can check out the full article on Insights Success website. Thanks to the team for our continued progress.